JOHANNESBURG (AP) — A financial scandal is threatening to unseat Africa’s only female head of state, the president of the Indian Ocean nation of Mauritius. 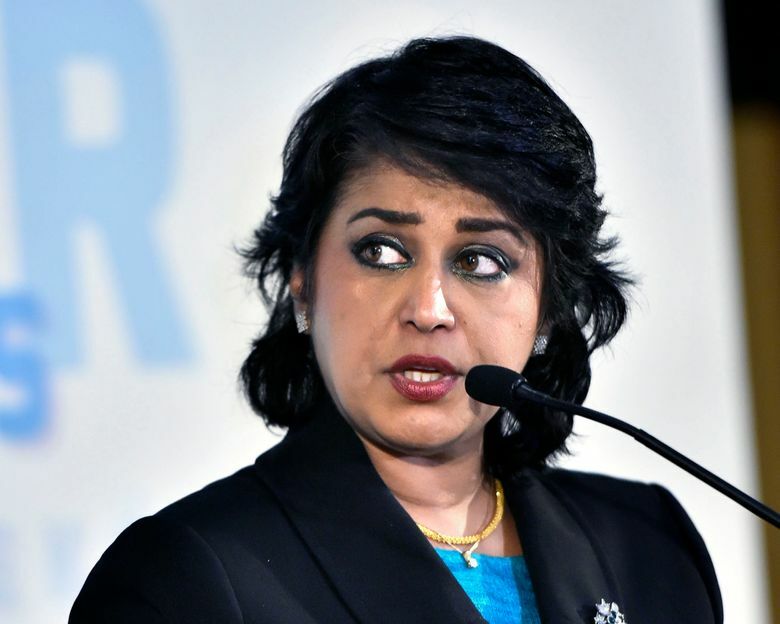 President Ameenah Gurib-Fakim faces allegations that she bought clothing and jewelry with a credit card provided by a non-governmental group whose Angolan founder has sought to do business in Mauritius and is under investigation for alleged corruption in Portugal. Gurib-Fakim, whose role is mostly ceremonial, said this week that she “inadvertently” used the credit card from the London-based Planet Earth Institute for “out-of-pocket” expenses of about $27,000, and that she had paid back the money. She said she is the victim of a smear campaign and won’t resign, contradicting a comment last week by Prime Minister Pravind Jugnauth that she would quit after Mauritius celebrated its 50th anniversary of independence from Britain last Monday. On Thursday, Jugnauth criticized the president for allegedly breaking her promise to resign and said he would discuss the matter with the Cabinet on Friday. “I hope that it will be settled very quickly in the interests of the country,” said the prime minister, according to L’Express, a newspaper in Mauritius. A president can be removed through parliamentary votes against him or her and an investigation by a tribunal that allows the president to offer a defense, according to the country’s constitution. Gurib-Fakim, who was appointed as president in 2015, was defiant. “She is also now ready to take legal action to defend herself against the slanderous accusations that would target her,” her office said in a statement. It described the 58-year-old president as a “respected and recognized scientist” who joined the board of the Planet Earth Institute to promote science in Africa, never benefited financially from the position and resigned from the group a year ago. “She had repaid our Mauritian sister foundation for sums apparently inadvertently used on a credit card issued to her to cover logistical expenses whilst travelling to promote African science, technology and innovation,” said the Planet Earth Institute, which is based in London. The institute’s founder is Alvaro Sobrinho, a businessman whose efforts to set up enterprises in Mauritius have come under scrutiny. Last year, the Financial Services Commission of Mauritius noted that Angolan prosecutors had decided not to pursue fraud allegations against Sobrinho. A corruption investigation against Sobrinho is underway in Portugal; he has not been charged there. Gurib-Fakim was previously a chemistry professor and science faculty dean at the University of Mauritius. Ellen Johnson Sirleaf, another female African head of state, stepped down as president of Liberia in January, handing power to President George Weah after an election.